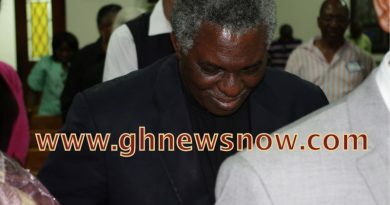 Yes Ghana’s debacle in Brazil 2014 indubitably affected the Black Stars team from qualifying from their group that contained the likes of USA, Germany and Portugal after flooding to the tourney with countless and invincible confidence to shock the world as reported by head coach Kwasi Appiah. This is presumably the worst world cup achievement for Ghana since its maiden appearance in Germany 2006. 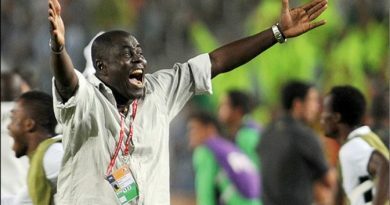 The country was full of joy when the indigenous coach Appiah qualified Ghana for a third successive world cup, especially that play-off drubbing cemented over the Pharaohs of Egypt at the Baba Yara Sports Stadium yet this same trainer has now been described as Ghana’s worst ever coach to have participated for the World Cup. Ghana projects itself as a perfect nation and is excellent at chastising people who have erred will forever continue to criticize even the Creator of the universe though no one is infallible and must begin to learn lessons from that. Even Jesus Christ the Savior who came to save His people from evil was rejected by the same people and Appiah who skippered the Black Stars in his playing days is not an exception after the nation’s abysmal performance in the mudial staged in Brazil. Football fandom and some astute sports journalists in the country are of the humble opinion that the former Kumasi Asante Kotoko player must tender his resignation with news circulating various online news networks and social media. Yes, such a well expressed sentiment; but if I may ask, is this the same person Ghanaians hailed after instilling a glut of discipline to some intractable players when he took over the mantle as the perfect driver to drive the hearts of numerous football enthusiasts in his cab? What could have been the end results if John Boye and Fatau Dauda had not gifted Portugal those two goals in the black stars final group match? 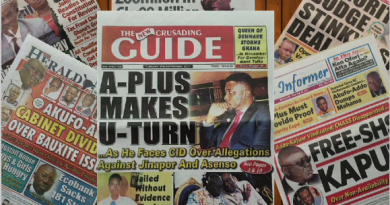 Was Appiah a culprit at the moment? Have we forgotten about that shambolic negotiation between the GFA and the playing body? The FA should be responsible for every single moment for the early exit. Why was their appearance fee airlifted to Brazil at the time it was lifted? Couldn’t have that been a prime factor? To all those chastising the silent killer, did you really watch his mundial matches from a technical point of view? Did you realize why he kept Kevin Prince Boateng and Essien on bench? Were you aware of the incompetence level of the Sports Ministry? Perhaps you may be illiterate on some unscrupulous and condemnable scenarios which triggered controversies with certain players’ nightclubbing to sleep as late as 3 am while some left hotel premises to spend the night with their wives and girlfriends. Who is to blame for all these ills that took place at camp? Honestly preparation made towards the Brazil 2014 was not the best as juxtaposed to the last two editions that saw the black stars shock the world in Germany and South Africa. Becoming the third African country to have reached the quarter finals; was that not commendable? Education we say has got no limit hence everybody is entitled to learn at any moment provided the person is willing to better his or her field very prudently therefore the former Ghanaian international is eligible to learn more to improve his performance so long has he remains the head coach of the black stars. The most debatable argument after Ghana’s debacle in town is whether the ‘silent killer’ should pen a resignation while others suggest his knowledge in football is questionable and he cannot improvise leading the four time African cup of nations winners in subsequent tournaments. Did you people say his performance was far beyond rectification? Well if yes then what should Vincente Del Bosque, Fabio Capello and Roy Hodson do since they all failed to progress to the next stage of the tourney. Do these veteran coaches also need a coaching top up or acceptably a resignation? Football in recent times has come of age and supporters most importantly those in Ghana must learn how to accept defeat. The former Owass school boy has brought lots of young players to the black stars who could bear fruit to Ghana years to come though he has severally indicated his intention of building a future team and of course a trophy winning team in the next 2 or 3 years. Ghanaians once again must learn how to appreciate their own native’s performance and do away with skepticism and the passion for expatriates coaches, who could always underrate the world of a black man specifically from the African continent. The Ghana Football Association (GFA) in my opinion will continually remain trophy-barren with the Black Stars if preventive and corrective measures are not accurately scheduled to eject the hypocritical manner of leadership in governing the country’s football. After all were there not players in the local league that could have played for the black stars without requesting such sumptuous amounts before they don the national colors. Ghana, a footballing nation, deserves better with discipline and must avoid greed and fixation in discharging their leadership roles. – 2014 World Cup qualification (The best qualification Ghana has had netting 25 goals across six wins in eight games overall. – Appiah recorded a drubbing 7-3 aggregate scoreline against the Pharaohs of Egypt. – Appiah finished Fourth place in the 2013 Africa Cup of Nations tournament. -He is the only Black stars coach to draw 2-2- against Germany. – He is the first Ghana coach to be knocked out of world cup group stage since the country’s maiden appearance in Germany 2006.